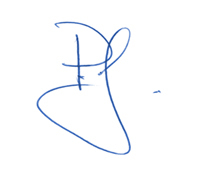 Uneven Erosion | DiNuzzo Index Advisors, Inc.
You're routinely told that inflation is your worst long-term enemy to your financial health. Inflation gradually, slowly reduces the value of your retirement dollars, which is why, if your money sits in your mattress, it will buy less when you take it out than it did when you put it in. But inflation is an inconstant danger; that is, the rise in prices happens unevenly over all the various things that you might be interested in buying, and indeed in some cases the prices go down. Think of the cost of a 50 inch TV screen today vs. what you could buy with the same money 20 years ago. 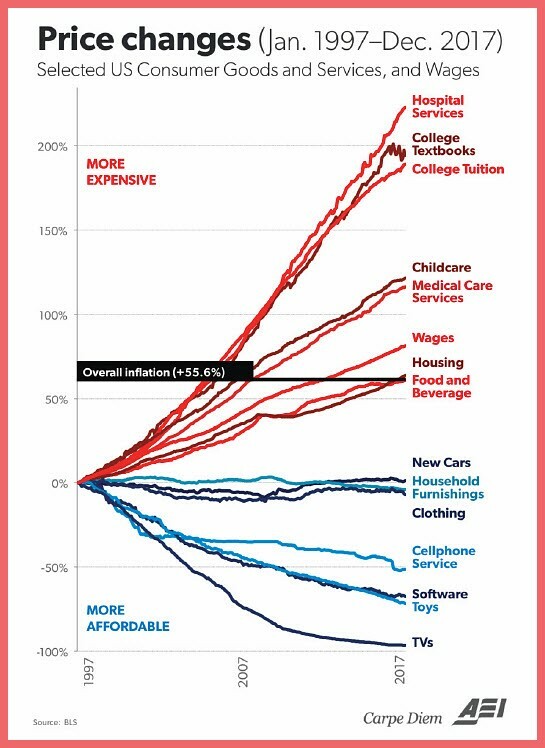 The graphic shows that technology items-cars, TVs, cell phones and software-have actually become less expensive over the past 20 years, along with things that might surprise you: household furnishings and clothing. Food and beverage costs have risen roughly at the rate of overall inflation, while things like college tuition, college textbooks and hospital services (which are utilized more often by retirees than any other citizen cohort) have become dramatically more expensive. The point? Your inflation rate might be different from your neighbor's, depending on what you're buying. And when you set aside money for the future, know that buying your grandchild's college education will require you to set aside more than the new TV that you might buy as a graduation present.